On the 11th and 12th April in the sea resort of Golden Sands took place the first national competition in hospitality and entertainment. 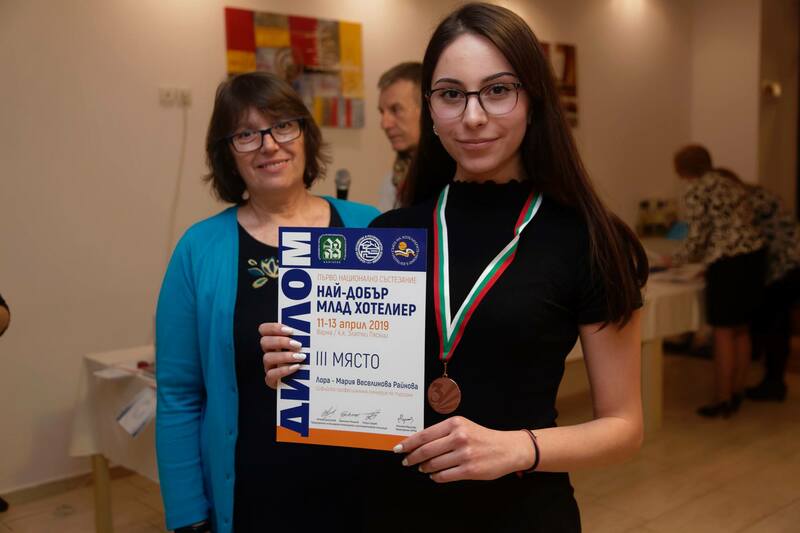 In the category, “The best young hotelier” participated students from 28 high schools all around Bulgaria, while in the category “The best young entertainer” – participated 15 teams. 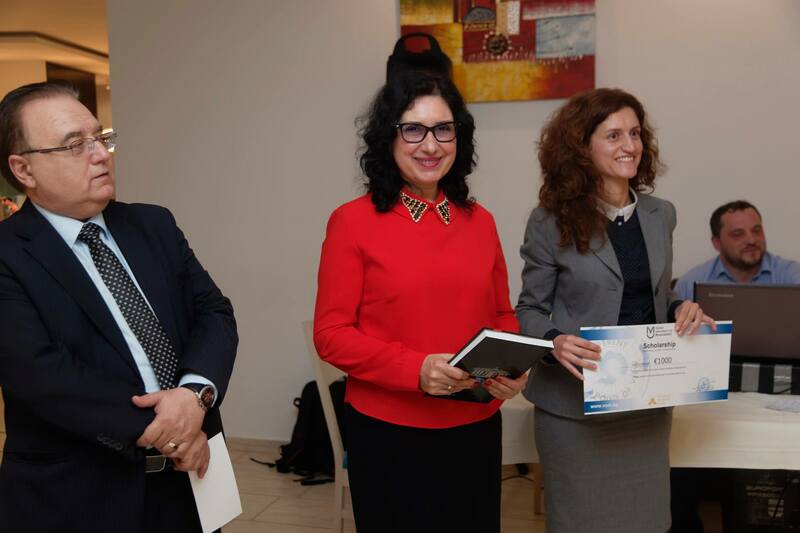 As one of the leading business universities in Eastern Europe and an institution with over 20 years of tradition within the training of young people for the tourism sphere, Varna University of Management (VUM) supported this event and awarded scholarships for the winners within both categories. 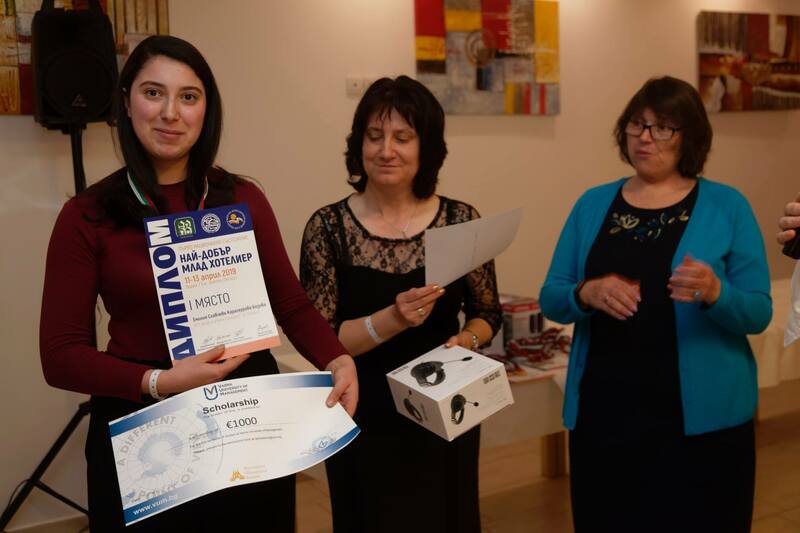 Voucher amounting to 1000 Euro was given to Emiliya Bozova, a student in the Professional School of Tourism Prof. Dr. Asen Zlatarov in Plovdiv who was the winner in the category “The best young hotelier”. The second such voucher was for the team from the High School of Tourism “Dr. Vasil Beron” in Veliko Tarnovo who took the first place in the category “The best young entertainer”. 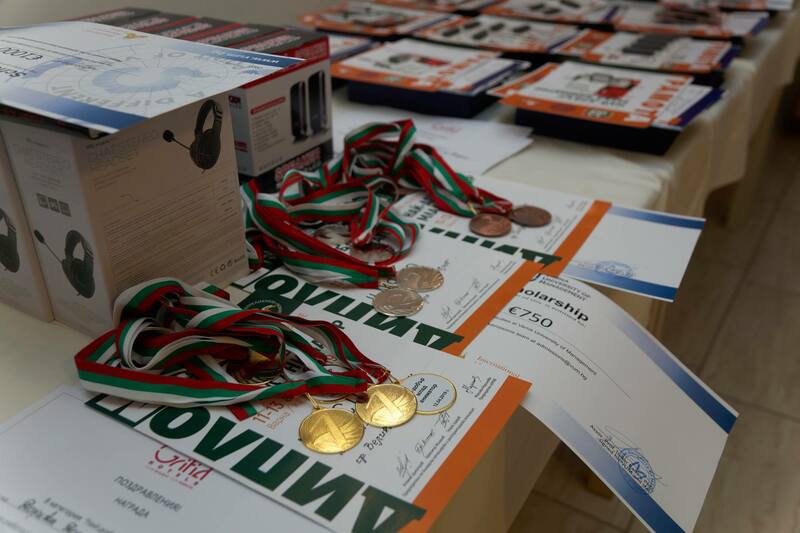 Scholarships amounting to 750 Euro were given to the participants who took the second and third places. These are Borislava Koycheva from the Professional High School of Hospitality and Tourism “Acad. Nedelcho Nedelchev” in Svishtov and Lora-Mariya Raynova from the Sofia Vocational School of Tourism, as well as the teams of the Professional School of Tourism “Ivan P. Pavlov” in Ruse and the Vocational School of Tourism “Pencho Semov” in Gabrovo. The initiative for this event was by the Association of Hospitality High Schools in Bulgaria and the Bulgarian Hotel and Restaurant Association. The reason for organizing this event is the lack of real opportunities for performance and stimulation of the young people studying in the sphere of hospitality and entertainment, which are some of the most essential positions in the tourism. The intentions of the founders is to organize those competitions annually and make them a tradition. The plan is to broaden them through including other professions as well.